Cinderella is a beautiful fairy tale, loved by young and old. Add to or start your fairy tale character amigurumi collection with this beautiful little Cinderella doll. The pattern is relatively straightforward, very well set out and enables you to have your very own favourite rags-to-riches heroine in a short time. Link to the free pattern is below. 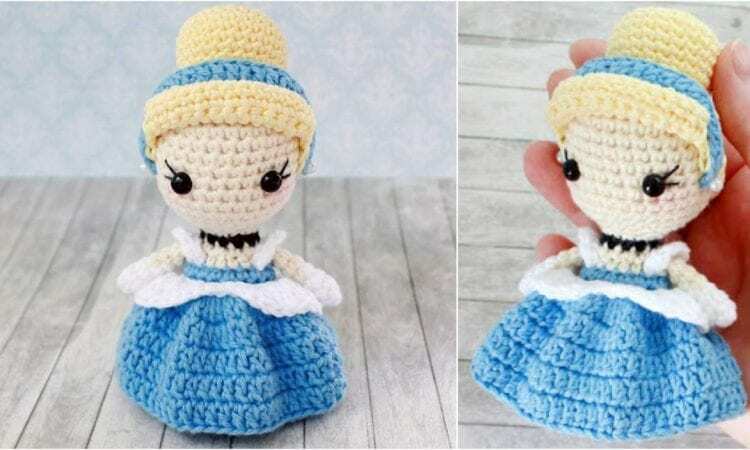 Amigurumi Cinderella – Free Crochet Pattern is >>here. Don’t forget to Like us on Facebook. Share your ideas and your work on our Facebook group!